Every day, people vacation in Walt Disney World and create memories they will never forget. This was particularly true for a seven-year-old girl named Maddie on her family’s most recent trip the Magic Kingdom. Maddie’s parents Joe Hawkey and Tiffany Bankert are no longer together, but they didn’t let that spoil the fun of a Disney vacation for their daughter. 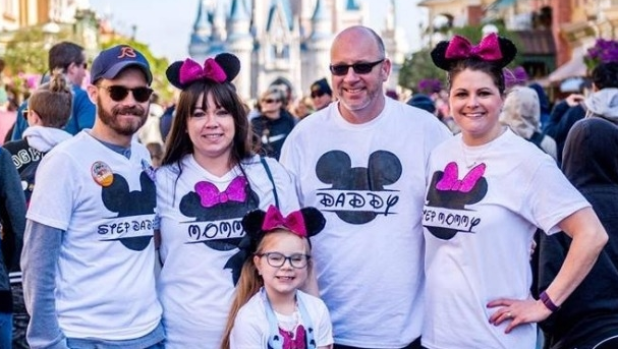 Originally Maddie flew to the most magical place on earth with just her dad and stepmother Brianna, but she was later surprised when her mom and stepfather Luke showed up! 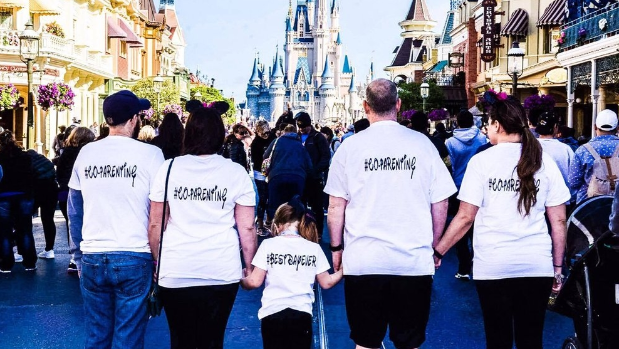 To celebrate the comradery, the family made matching shirts in the iconic Disney font that said on the back, “#co-parenting”, with Maddie’s shirt simply saying, “#bestdayever.” Special memories like this one are created every day at Walt Disney World, but this story in particular reached news sites around the world including publications in New Zealand!